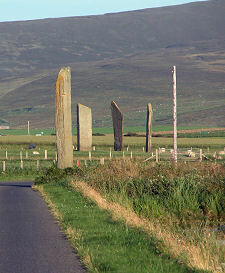 The Stones of Stenness Circle and Henge, to give the site its full name, forms part of the Heart of Neolithic Orkney World Heritage Site, and can be found in Orkney's West Mainland, off the B9055 only a little north west of the main A965 Stromness to Kirkwall road. 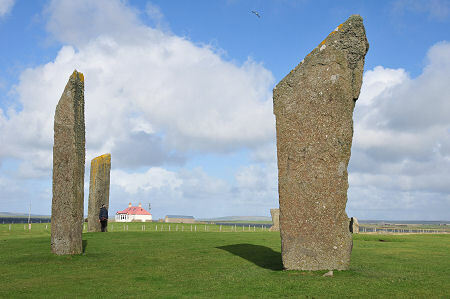 The Stones of Stenness you see and marvel at today are just a part of a ring of 12 tall stones and a surrounding ditch placed here some time between 3000BC and 2500BC. 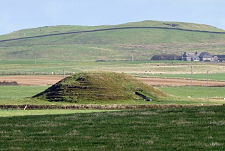 This was about the same time that nearby Maeshowe was being built, but well after Skara Brae was occupied and well before another stone circle was constructed a little to the north at the Ring of Brodgar. 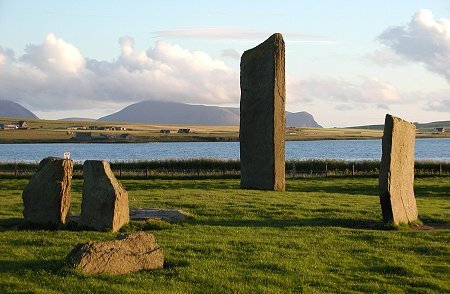 History has not treated the Stones of Stenness well. By the time Sir Walter Scott visited the site in August 1814, only four of the original stones were still standing and another was lying on the ground in the middle of the area. Scott drew the conclusion that this was an altar for human sacrifice. 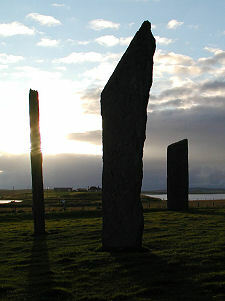 The Stones of Stenness passed into the care of the State in 1906. The stone that Captain MacKay had toppled was re-erected, as was another discovered lying under the turf. 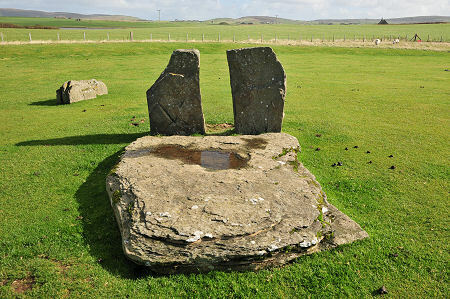 This rather small and misshapen stone has been the subject of controversy ever since, but it remains standing today. At the same time, the stone that Sir Walter Scott had described as an altar was raised on stone supports, so it looked like an altar. It was pushed off its supports one night in October 1972, apparently during a party. Taking into account the digging of the long ploughed-out ditch and the erection of the stones themselves, some 5,000 man-days would have been needed to build the stone circle here. 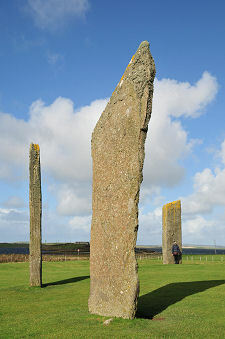 This is only half what was later needed to construct the Ring of Brodgar, but it still represents a huge investment of time and effort for purposes that are not completely understood. 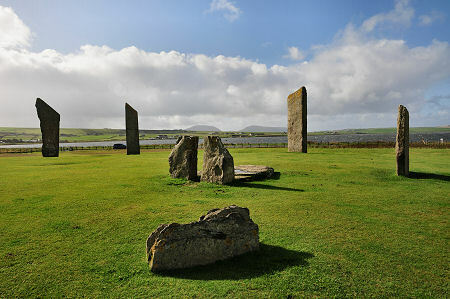 When complete, the Stones of Stenness would have been a magnificent sight. 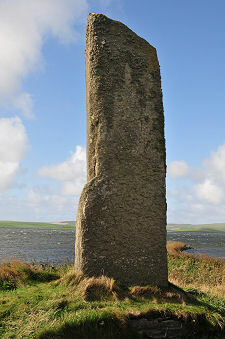 The tallest of the stones still standing is 5.7m or 19ft high. Imagine the impact of three times as many of them. 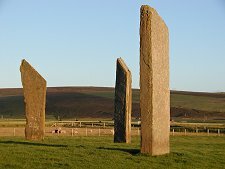 And although the Stone of Odin was destroyed in 1814, there are other stones still standing in the area that were probably originally associated with the Stenness Stones. 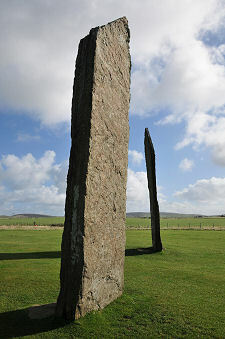 Most striking is the 6.5m Watch Stone overlooking the causeway a little to the north. 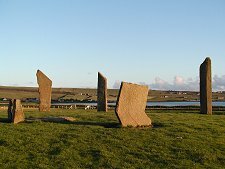 The Stones of Stenness are superbly located with wonderful views over the surrounding countryside extending to the hills of Hoy. The ideal time to visit is very early or late in the day in summer, when you can hope to see the stones against the sunrise or sunset, and maybe even have them to yourself. Open all year & admission is free.